It’s Martin Luther King Day, and I’ve been thinking about social justice, even going so far as to try to explain the term to my eight year old in the car on the way to the dentist. But explaining why I teach in the inner city in the language of a third grader is easier said than done. Two generations after King, Kennedy, and so many unnamed others fell as martyrs to the civil rights movement, we live in a world of twice-removed injustices, deeper, more abstract, more slippery and subtle, harder to name, and harder still to put into words. That the obvious differences which once separated us are now encoded into law and practice as taboo subjects for discrimination shows just how far we have come since the sixties. That in our pursuit of change and justice and equality we have reached the murky core, where it is harder to name the abstract injustices which still linger deep at the root of society, is perhaps King’s greatest legacy, and it’s a fine legacy, indeed. But it still leaves us with the problem that that which we have to overcome is much harder to define than it once was. So much of our rhetoric is defined by dissatisfaction and dis-ease, and though it’s easy to rally around such ill- and negatively-defined straw men, it’s almost impossible to leverage that muddy, vitrolic speech as a clarion call to well-defined action. The distance between We Shall Overcome and I Don’t Wanna Be An American Idiot is vast, indeed. And the fatalism which has replaced This Little Light of Mine with the deliberate aloofness of We Didn’t Start The Fire is a constant threat to our ability to live the dream, to stand up and lead the charge for the subtle change we all know, in our deepest hearts, remains urgently at hand. As a tool of political discourse, folk songs – which spread by word of mouth, and speak of and for the community – play a vital role in cultural change. And though it is his speeches which ring so indelibly in the ears of history, MLK, Jr. was a firm believer in the power of song as a vehicle for freedom, seeing it as a critical tool in the hands of the movement. Most of the songs King’s followers chose to utilize, of course, were remodded from older sources, in keeping with the folkways approach to song which best characterizes the movement itself. But many of the songs which the civil rights movement has chosen to adopt since then come more directly from the generation of singer-songwriters who grew up in the midst of the struggle. 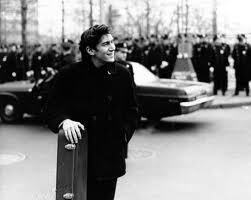 And though his name is not as familiar as a host of others who survived the era to continue performing, and who spread the gospel through a more diverse collection of songs, perhaps no artist has had more of an impact on the modern protest songbook than folksinger Phil Ochs. 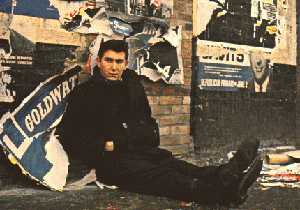 Which is to say: like so many great songwriters of depth and poignancy, Phil Ochs – who came to the Greenwich Village scene from the world of journalism, and never shed the constant search for the truth which this entailed – was haunted and ultimately done in by depression, truncating his canon and corrupting his legacy. And in keeping with the discourse drift described above, his catalog is rife with the kind of songs hardly anyone sings any more. 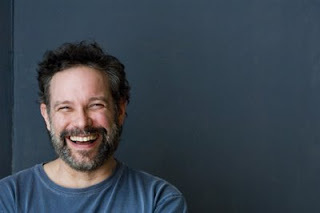 Indeed, Guthrie’s famous guitar slogan nothwithstanding, there is perhaps no other artists who so deliberately and successfully focused his career on protest through music as Ochs himself. 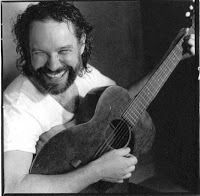 The Ochs songbook is relentlessly political, almost exclusively so, unlike those of the numerous artists who include social justice songs in their work – Michael Franti, the Indigo Girls, Ani Difranco, Guthrie, Seeger, Dylan, and others among them – but also diversify their message to include more generalized narrative tales of love and life. And as a result, though Ochs hated the term “protest song”, preferring to say that he wrote “topical songs”, most of which he claimed he wrote based on articles in Newsweek, the vast collection of songs he left behind are a legacy of political protest much like that of the words of King himself, and arguably of a scale and scope which rivals that of the fallen Reverend. There’s an inherent risk in staking your claim on topical song. But the best protest songs merely gain power through metaphor as they lose their direct relevance in the world of the concrete as history moves ever-onward – Biko has been dead for decades, for example, but Peter Gabriel still sings his life story into fervent life on stage. And though several of Ochs’ songs have been updated in recent years, the best live on intact, their potency all the more for their inward gaze. Today, Ochs’ critical gaze and determined lyrics still ring true in the hands and mouths of artists across the globe, many of them – From DiFranco to Seeger, from Billy Bragg to John Wesley Harding – known for their own association with the continued struggle for rights and justice in modern society. And his prescient anthem When I’m Gone – surely his most covered song – speaks achingly to the need for every one of us to live and fight for today, while we still have breath. Which is good. Because even as talk radio and Facebook become tools of discourse, rallying spaces are not rallies: as long as there is still injustice, we still need to be able to stand up and be counted in physical space. Facebook may be a great way to organize, but its silent screen is no match for the full emotional power of the spirit uplifted by song. Singing to make change cannot be done without songs that demand it. We still need songs that give us courage and hope; we still need the deep feeling of standing together, singing loud and strong, to show ourselves what can be done, to keep us strong and whole and connected in the darkness. And sing we must, in the end. For there is still so much to overcome. John Denver: What’s That I Hear? Sonia Rutstein: Is There Anybody Here? 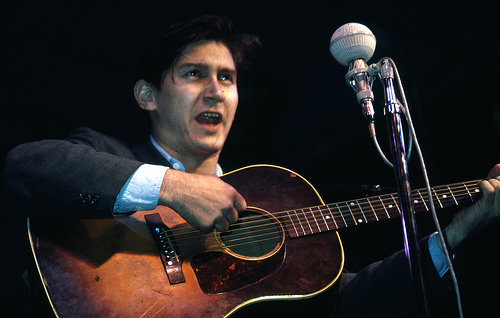 For more coverage and covers of Phil Ochs, check out Life of a Rebel, a blog devoted to news and memories our featured artist.